The scroll represents the quest and desire to educate and empower through shared stories. 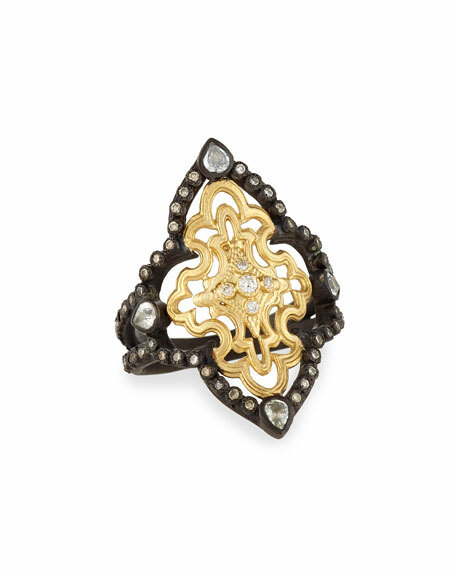 Armenta open scroll ring from the Old World Collection. Midnight sterling silver and 18-karat yellow gold. Pave white and champagne diamonds. For in-store inquiries, use sku #2098254.